I know I’m a bit late, but 2016 has finally finished, and 2017 is underway. 2016 has been a rollercoaster of a year. There’s been several controversial releases in gaming, such as Metroid Prime: Federation Force, No Man’s Sky, and Might No. 9. The year has also seen some pretty tragic events, such as the devastating bombings in Aleppo, the shooting at the Pulse nightclub in Orlando Florida, and the death of many beloved celebrities, including the recent Carrie Fischer, and George Michael. Though 2016 has thrown some curveballs, the year has also had its positives, along with some wonderful moments in history. On the gaming side, Pokémon GO, and Pokémon Sun/Moon have seen very successful launches around the world. Hideo Kojima finally got his well deserved Game Award. We finally got a proper look at Breath of the Wild and the Nintendo Switch. VR is finally available to a widespread audience, and the developer of ‘That Dragon, Cancer’ was able to make an impact on gamers from his very heartfelt story. Outside of gaming, the first monument for LGBT rights has been designated in the US, a new technique, called gene editing, which could be capable of eradicating the duplication of cancer cells, has been invented, after 50 years of war in Colombia, a peace treaty has been signed, and so much more. No matter what tragedies happen, it is always important to look at the positives and what we already have. It has also been a fairly interesting year for NintyBuzz too. We announced the very first NintyBuzz Awards results where Splatoon won a heap of awards. We then published a rather big editorial, predicting where we think Zelda Wii U (now Breath of the Wild) will take place on the timeline. We got into the April Fools spirit and decided that Nintendo we bringing VR to Universal Parks! I was far too thrilled with the release of YO-KAI WATCH for Nintendo 3DS, where we praised the game highly. We then took a good strong look at the Wii U to get an idea of how we want Nintendo to handle the Switch. A big moment in NintyBuzz history was conceived soon before E3! NintyBuzz and 3DS Buzz forums united and merged, thus NintyBuzz Forums was born! Summer was topped off with our own celebration of 30 years of Metroid in our special Retrospective video. I hit a bit of a roadblock being busy at uni, with a dash of personal issues. This caused activity to approach a lull for a few months. This soon rectified itself with the reveal trailer of the Nintendo Switch! Soon before the year ended, we received an invite to try out the Nintendo Switch on the 13th January 2017! Finally, the NintyBuzz Awards 2016 launches with some new categories, a new Nomination stage, and a bigger prize for one lucky winner! We have definitely had an eventful year at NBHQ! It looks like we will be getting a lot in 2017. The biggest thing to look forward to in 2017 is the release of the Nintendo Switch! There are many other things to look forward to in 2017 too, such as The Legend of Zelda: Breath of the Wild, a brand new 3D Mario game, Yooka-Laylee, and so much more. What were your fondest memories of 2016? What are you looking forward to in 2017? Do you have any words of wisdom for surviving the next 12 months? Keep on buzzin’, way into 2017! The Return of Game Days! Those of you who have been on the forums since the beginning of 3DS Buzz may remember a special event we would hold from time to time called 3DS Buzz Game Days. Well, I have some exciting news, Game Days is making a return next week! For those not in the know, Game Days are organised days where the community plays a bunch of games online together. Anyone is able to participate at any time during the session, and it isn’t anything competitive, it’s just so that we are all able to have a bit of fun without worrying about ranks and whatnot. It’s also perfect for those who are a bit nervous about playing online, I still find it daunting with some titles, especially in games like Super Smash Bros., which I am horrible at against competent opponents. 3DS Buzz started way back in 2010, where you could keep up with all the latest 3DS news and talk about Nintendo’s latest handheld wonder and more. For the past six years (well, just under), the site grew a bustling community, and though it has gone quiet more recently, it’s still full of great people. There have been highs and lows, but it truly was a remarkable online experience, and probably one of the closest communities on the web I have ever been in. Today, I am happy to announce that 3DS Buzz Forums has now got a brand new home here at NintyBuzz, and it will be renames NintyBuzz Forums funnily enough! Before we set off on our new adventure, I would like to take the chance to thank Adam for conceiving 3DS Buzz, one of the few sites I would visit daily. Without him, I probably would not be a writer today! I would also like to thank all the previous staff members for maintaining us crazy lot, though I really hope I see them again here! Now, what’s going to happen? There’s a lot I have planned for the near future. I plan to really make an emphasis on user involvement for the blog, host new gaming tournaments, and much more. Some things may take a bit longer, but the worst of the waiting is now over. Already, I have implemented plenty of new things. Firstly, you may have noticed that we have a brand new appearance for both NintyBuz and NintyBuzz Forums, which is also fully responsive for a range of different displays. I have also reorganised the forums a bit to keep it up to date. There are also dedicated sections for Tournaments and Rom Hacking. Finally, we have changed the service used for the shoutbox! 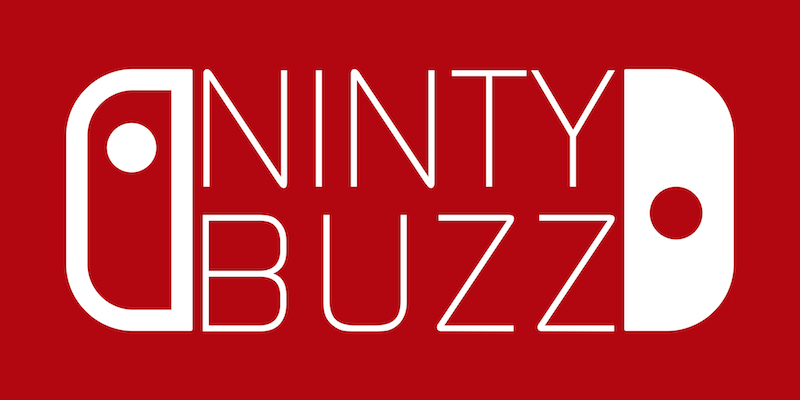 For those of you who are new to the place, I would like to welcome you all to the NintyBuzz Community, and I hope you are able to make plenty of new friends here, as well as participate in lots of discussions! It’s now nearly a month into the new year and it should hopefully be a good one for Nintendo with the 30th Anniversary of Zelda, the 20th for Pokémon, the unveiling of Nintendo NX, the new Nintendo accounts system, and so much more. I would first like to apologise for the inactivity over the past two months. I’m going to be honest, even though Christmas has been rather busy, I haven’t quite had the motivation to do much with NintyBuzz, but never fear, one of my New Year’s resolutions is to try and gain this motivation back, and in doing so, we have some exciting plans to enforce over the coming months. Unfortunately, I’m not quite ready to discuss these plans quite yet as it all depends on some confirmations and whether I can find a new paying job; I recently quit my old one back in December for various reasons. Something I will divulge though is that I have some exciting new features, with the possibilities of some competitions, planned for the both Anniversary of Zelda. I hope for these to start next month. I also plan on hosting some new tournaments in 2016, ones which I promise will work, I will admit that the Smash Bros. Tourney I started last year was poorly planned and it was more of an experiment, if anything. That’s it for now, I hope everyone had a good Christmas and new year! Well, that went quickly. One year ago I opened up the doors to NintyBuzz hoping to bring the internet Nintendo news and non-biased reviews. Indeed I tend to not cover news that much anymore, but I’d like to think we are still mostly unbiased. A year seems like a long time, heck I started and finished a year long course at college since I started NintyBuzz, but it sure went quickly. I would just let to thank everyone who comes on a regular basis (no mater how slim the numbers are) for visiting, and I hope you enjoy the next year of gaming and beyond. I may have a little surprise in a week or so to to commemorate the occasion, but more about that later. But for now, just keep on buzzing! So, the reboot has been a bit slow but we are gradually getting there. I have decided to give myself a sort of schedule to try and go so that we look somewhat active! First of all, I want to try and publish at least one new review every month, but trying to push for two or, if I’m devious, three! I plan for NintyTalk to air every fortnight or, if news has been very slow, every month. Me and Chris should hopefully have a new episode up sometime next week, we have lots to talk about. I also plan to bring back NintyBeats very soon, though at the moment I am also thinking that this should be a fortnightly feature. Finally, there will also be several one off articles being published soon. As soon as Sam has escaped the terror that is University, he will start posting several one-offs. He told me he has some good ideas but refused to divulge into much detail! Also, remember that E3 is slowly rearing its face, which means we will have even more topics to talk about, and maybe even some more competitions/giveaways if I have a stable income by then! Hopefully, this should give you delightful readers an idea of what to expect over the following several weeks. Bear in mind I do still have College and deadlines for assignments, but come E3, I will be finished with College for good so I’ll have even more time for NintyBuzz. Before I go, if you are interested with helping out with writing articles and reviews, visit the Work for Us page and pop us an email!